A beautiful pair of bunny bookends, crafted from green oak. 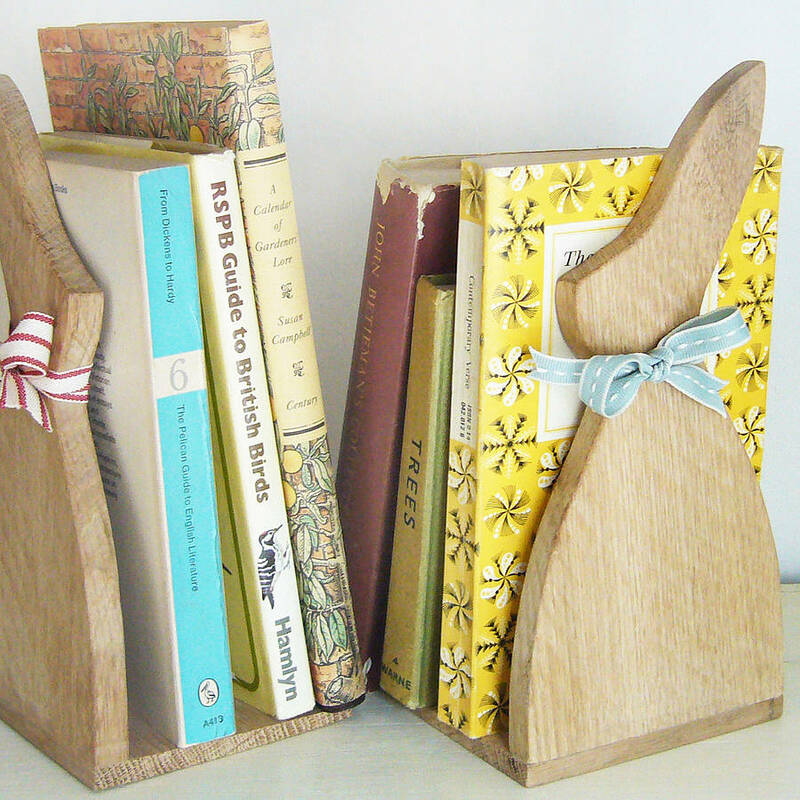 A pair of hand crafted oak bunny bookends, each with their own ribbon neck-tie, one red stripe and one stitched duck egg. 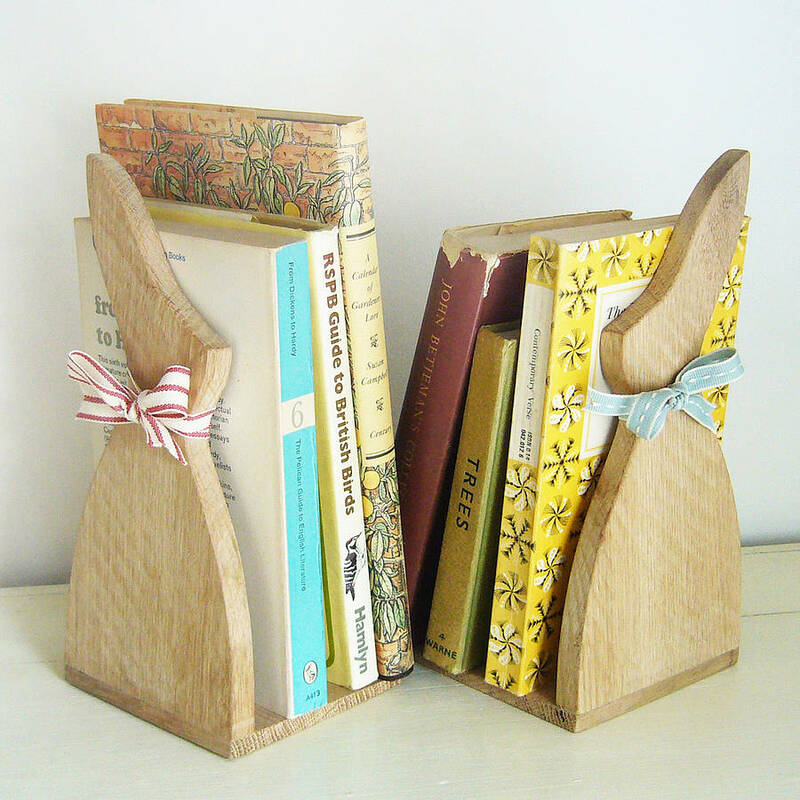 Each bookend is made from green oak in our Cotswolds workshop and will look wonderful on the bookshelf propping up all of your favourite books! 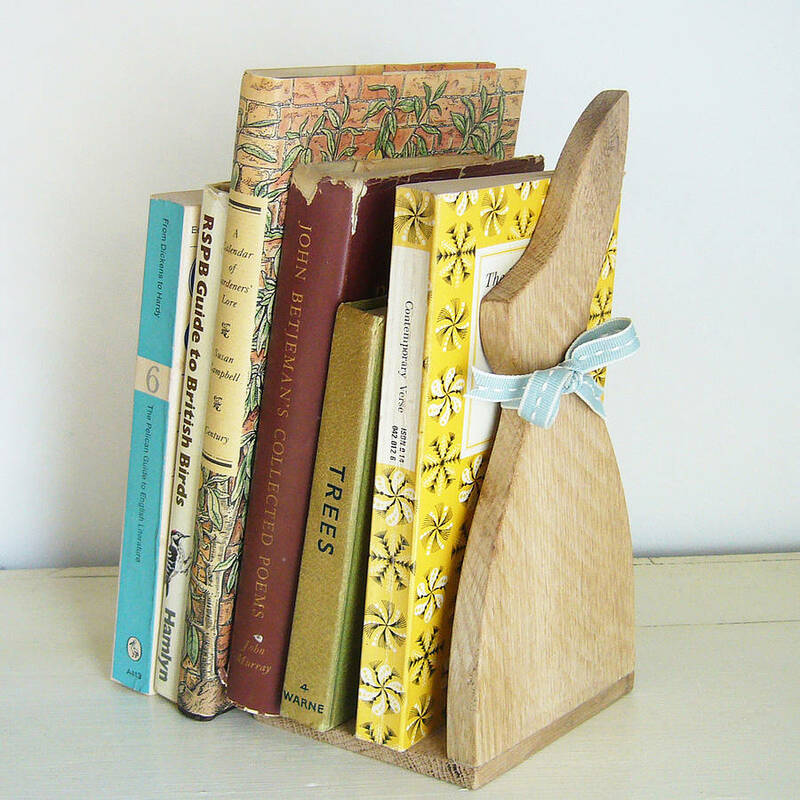 These bookends look great in bedrooms, living rooms and make fantastic gifts. Perfect for a new baby gift, Easter or christening gift. Please Note: bunnies may have inherent knots and differing grain, all are finished to a high standard and each has it's own character. Do not place near a heat source. Each bookend measures H21.5 x W10.4 x D9cm. This product is dispatched to you by Charlotte Macey.